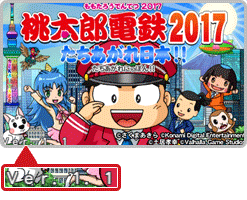 On this page, you will find all there is to know about the Software updates for Momotaro Dentetsu 2017: Tachiagare Nippon!! (released on December, 22nd, 2016 in Japan). How to update Momotaro Dentetsu 2017: Tachiagare Nippon!! for the Nintendo 3DS?